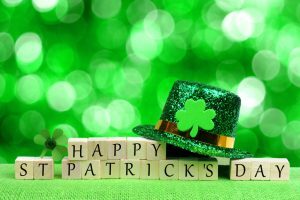 March 15th, 2017 by Sherman Oaks Dental | Comments Off on Happy St. Patrick’s Day! Let a golden smile double your happiness this St. Patrick’s Day! Cosmetic dentistry in Naperville will not only improve your smile but also enrich your overall quality of life. From enhancing your career prospects to removing jaw pain, the benefits of cosmetic dentistry procedures are vast and well researched. Studies continue to confirm that a whiter, straighter smile boosts self-confidence. Cosmetic dentistry can improve your career.The effects of a beautiful smile on self-confidence shouldn’t be underrated. Research shows that those with a straight, white smile are more likely to be offered a job promotion or a raise. Specifically, people with white teeth are viewed as more trustworthy, professional and successful. Cosmetic dentistry can help you be more outgoing.Socializing should be relaxing or exciting. If you have yellowing or crooked teeth, it may be difficult to feel comfortable in social settings where you are expected to interact. At Sherman Oaks Dental in Naperville, our cosmetic services will help you feel more at ease laughing, smiling, and talking. Cosmetic dentistry will improve aesthetic flawsUneven gum lines, misshapen teeth, gaps, stains, and chipped teeth can all be fixed by our cosmetic dentistry services in Naperville. Our cosmetic services include teeth whitening, Invisalign, and lumineers. Cosmetic dentistry can improve your overall health.Cosmetic dentistry provides more than superficial value. Not only will it give you a more attractive smile but also prevent future damage to teeth. If left unattended, dental flaws like uneven teeth, overbite, or tooth discoloration can lead to periodontal disease, jaw pain, or headaches. Cosmetic dentistry can make you look younger.Gum recession and yellowing teeth become more common as we age. Over time, medications, antibiotics, radiation treatment, or chemotherapy can contribute to tooth discoloration. At Sherman Oaks Dental, our cosmetic dentists can correct the effects of aging on your teeth, making your smile appear years younger. Cosmetic dentistry is quick.The field of cosmetic dentistry is constantly evolving. As a result, cosmetic dentistry procedures are generally shorter than other services. Industry research and advancements have quickened recovery time, allowing some cosmetic procedures to be completed in one dental office visit. The impact of cosmetic dentistry goes far beyond a more brilliant smile. Increased confidence, sociality, and career prospects are just some of the many benefits. Call our office today for a consultation with one of the best dentists in Naperville. We look forward to discussing your cosmetic dental goals to help you achieve that lucky smile. Happy St. Patrick’s Day!